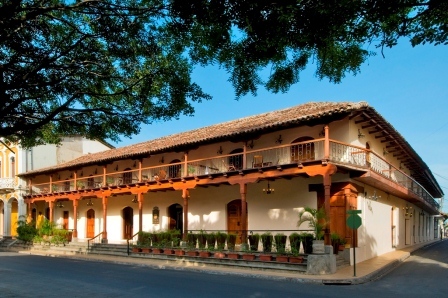 Located right in front of Parque Colon, here’s a 27-room hotel with a history and an atmosphere of colonial grandeur to match. Set in an elegant historic mansion that has been restored to its original style and architectural ambience, with balconies overlooking the park and cathedral. Rooms, fitted out with king-size beds, have all the usual luxury amenities including a/c, minibar and cable TV, and lovely floor lead to an interior balcony that runs around a glorious interior courtyard and pool. On premises is a restaurant and bar, and internet is free.